Apparently Oklahoma City Thunder fans can’t get enough of my stuff. 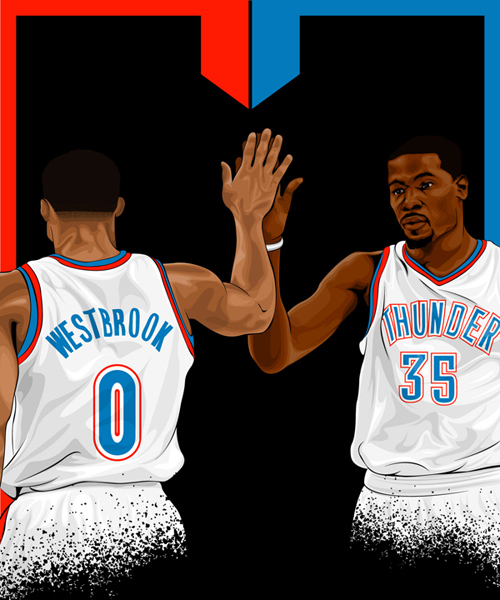 My latest commissioned piece features teammates Russell Westbrook and Kevin Durant. Out of respect to the client who commissioned this piece, this is not available as a print. However, I may create an alternate version for a Limited Edition run so if you are interested definitely let me know either in the comments, on Twitter or on Facebook.